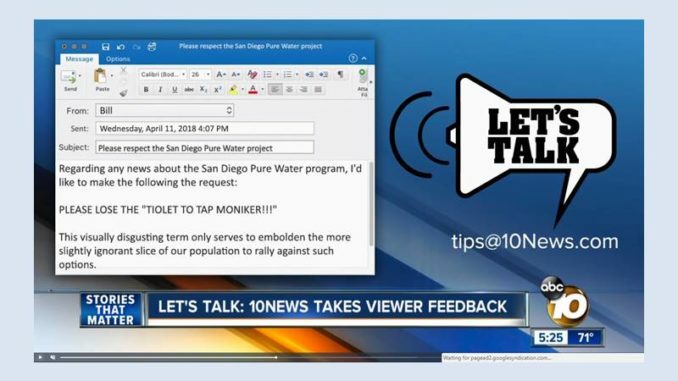 SAN DIEGO (KGTV) – Earlier this week the San Diego City Council approved an environmental impact report for its new drought-proof water supply. The city likes to call it, ‘Pure Water San Diego’ which sounds delicious. And, for lack of a better word, it is a purified way to label the program. But some viewers don’t like how we refer to it on occasion, and that’s the topic of this week’s Let’s Talk.